At night, your garden needs a little something extra to shine. 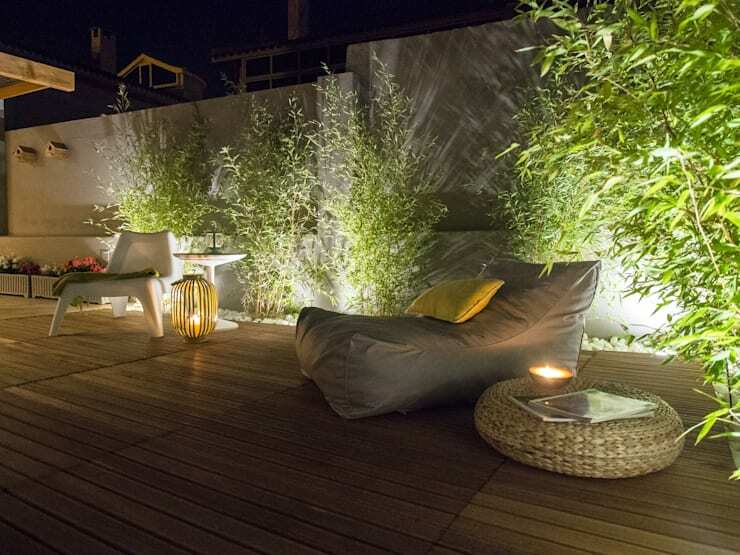 Don't settle for just lighting your seating, you can create a whole atmosphere with garden lights, by the placement and style of the lights themselves. These innovative garden light designs will impress you, let's get started! One of the best places to install your lights is in your trees, particularly the perimeter trees. The texture of the leaves makes for a dramatic shadowy display, and lining the perimeter trees ensures that the whole garden is lit up. 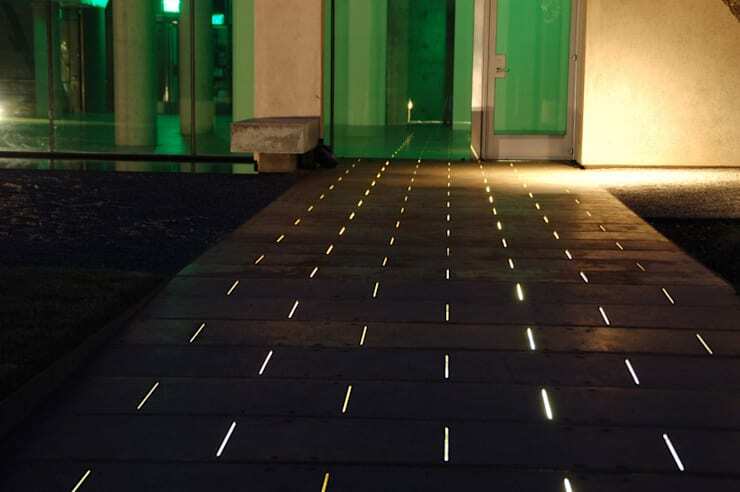 These gorgeous lights add a natural elegance to garden walkways. The best part? They still look natural in the winter! We have plenty more unusual garden lighting options in our gallery here. 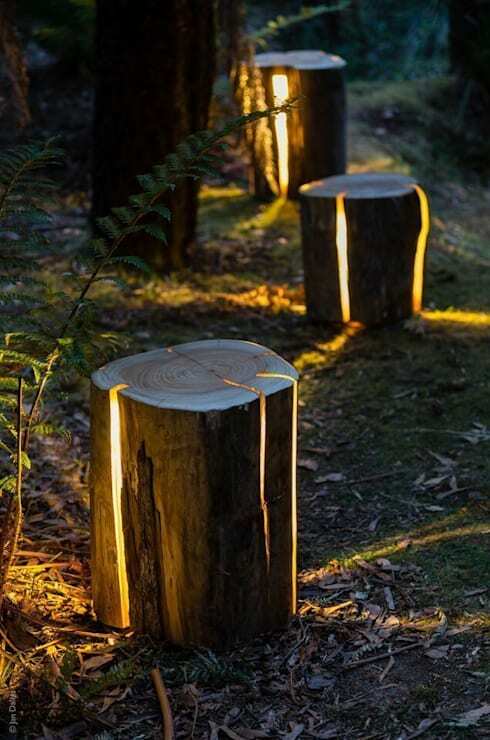 This grand light is similar to the log lights, but acts as a focal point for the garden instead of pathway lighting. 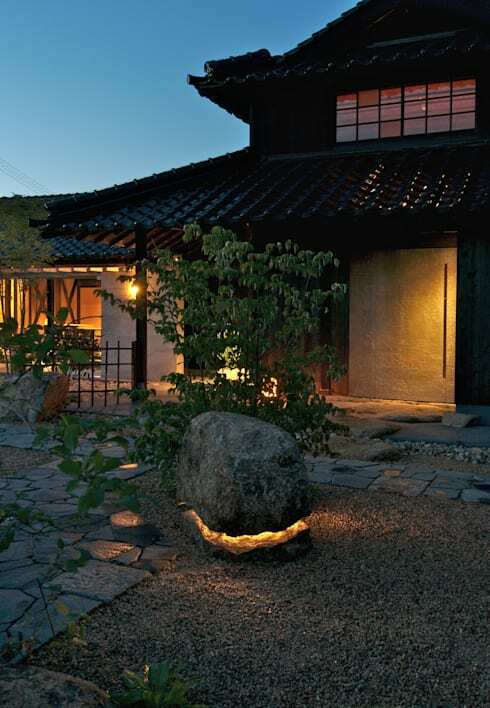 It looks especially elegant in Asian-inspired gardens. One of the most elegant areas to light in the garden is the water feature. 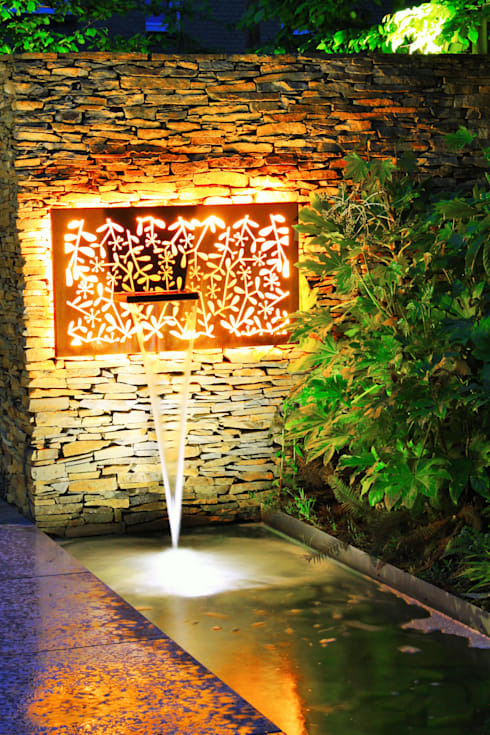 A sparkling water feature looks magical, especially if the spout is also lit, like this glowing example. Adding romantic lights to the garden doesn't have to be expensive. 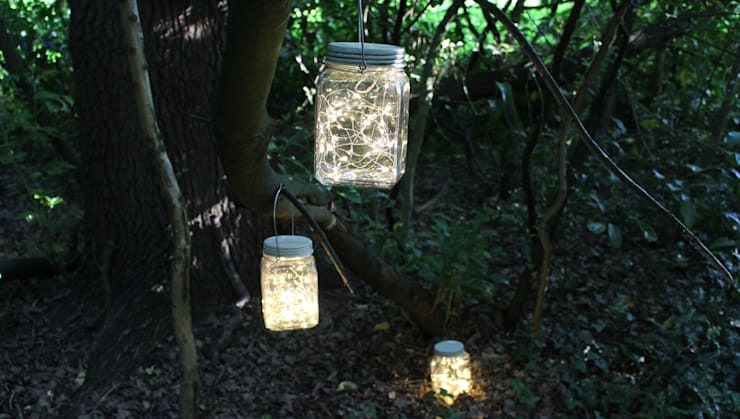 These mason-jar lights can be made at home, plus they can be easily rearranged as you wish. To get a subtle brightness in every corner of your garden, you could install these lovely pathway stones that under-lit. You'll need a professional's help for this one though. There's nothing as dramatic as neon lighting, and the blue tone fits perfectly with the pool's atmosphere. Midnight swims will never be the same! Here's a marvelous garden renovation you'll love! Which of these garden lights do you prefer? Let us know why in the comments!